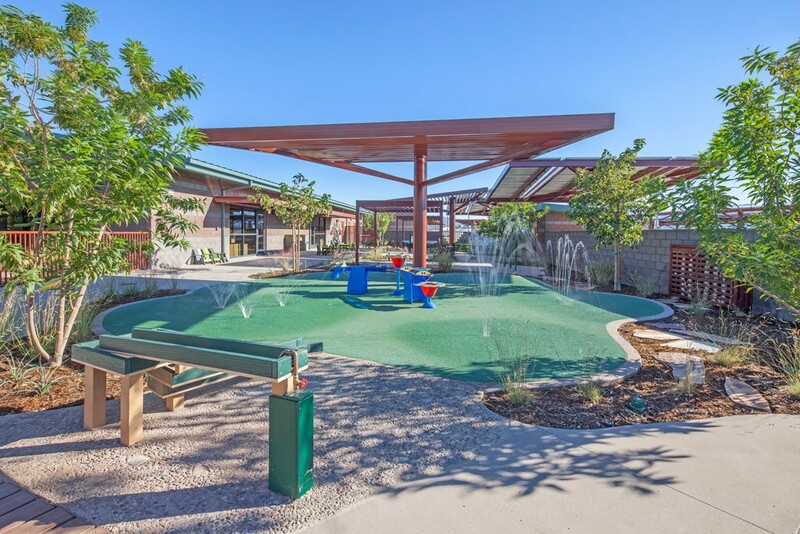 The Child Development Center (CDC) at the USMC base in Twentynine Palms aspires to demonstrate that design of the built environment can provide rich learning opportunities for young children’s actively developing minds as they discover, explore and develop their level of understanding of their world. 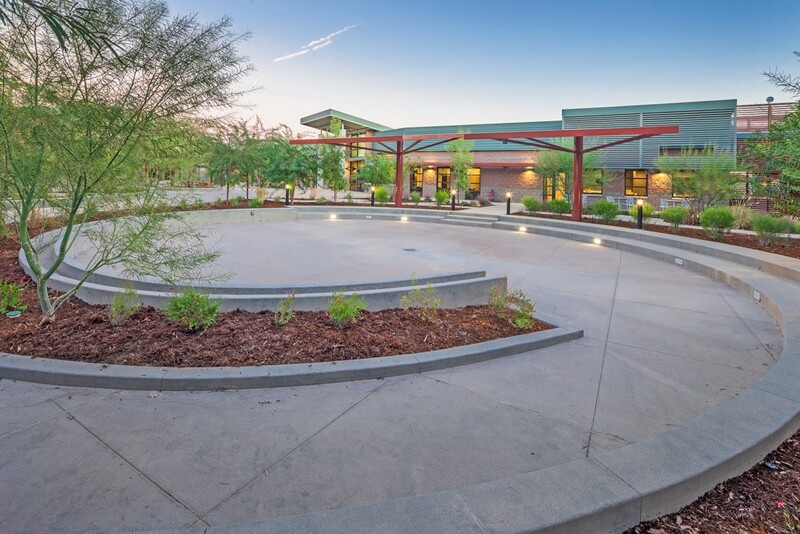 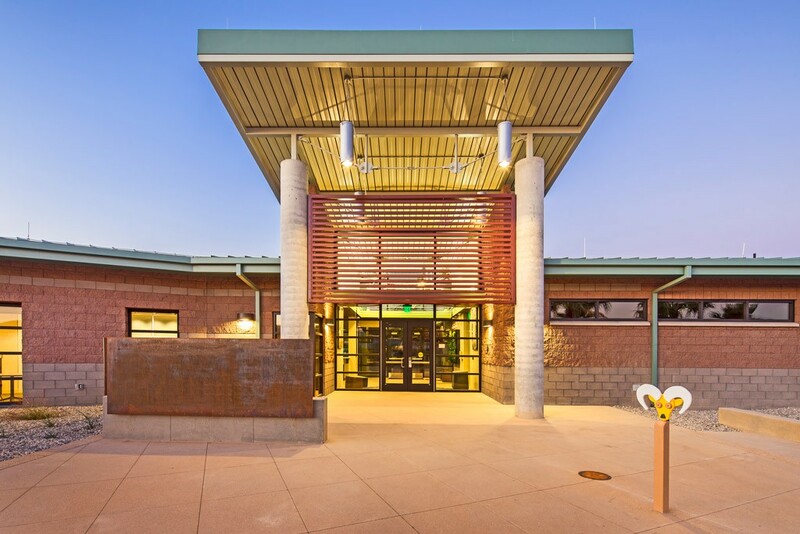 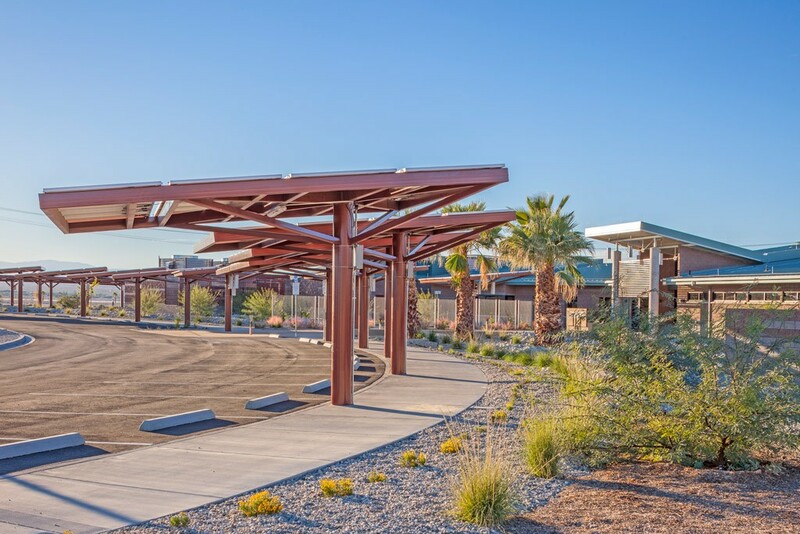 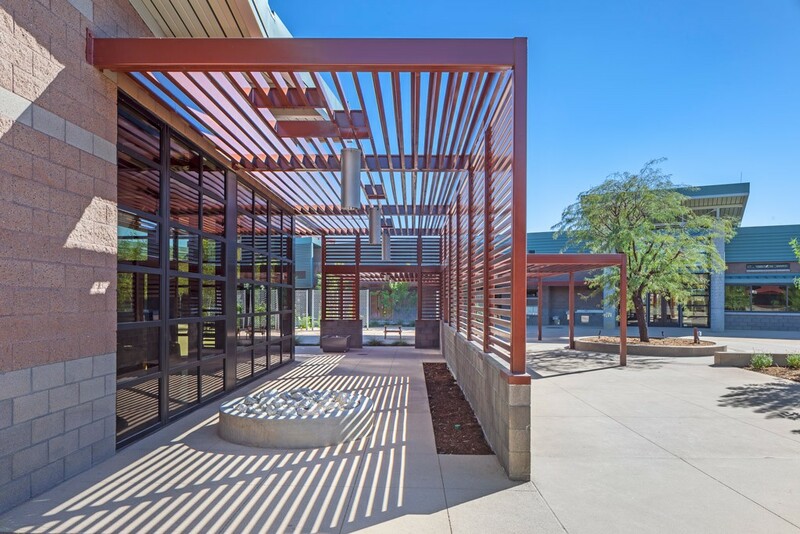 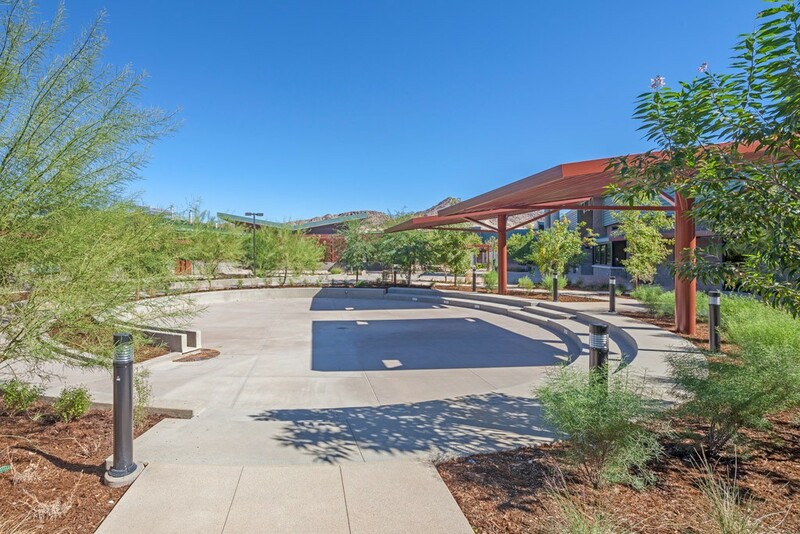 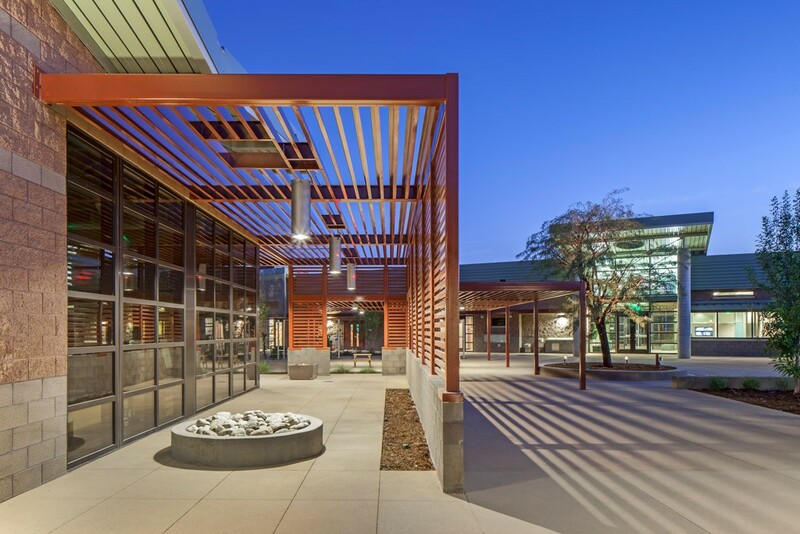 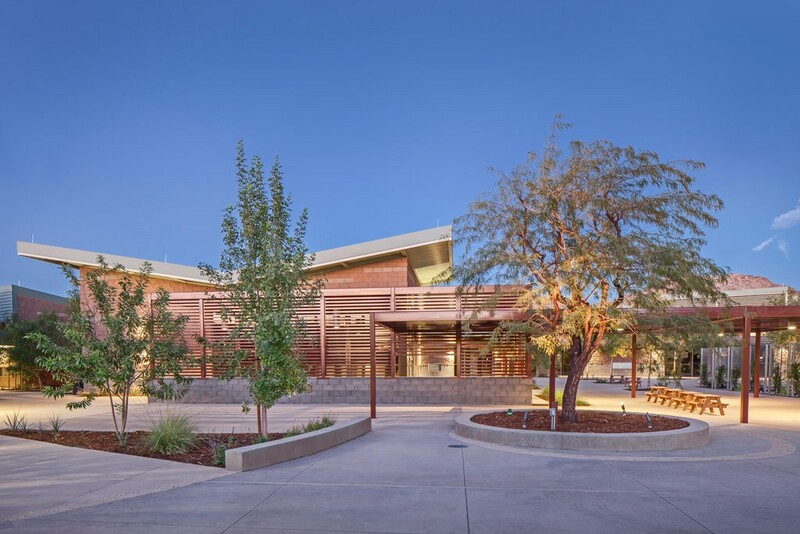 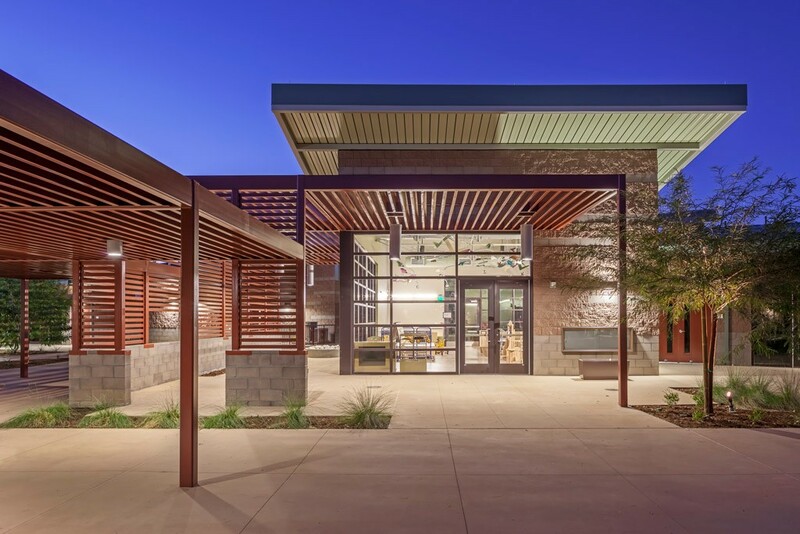 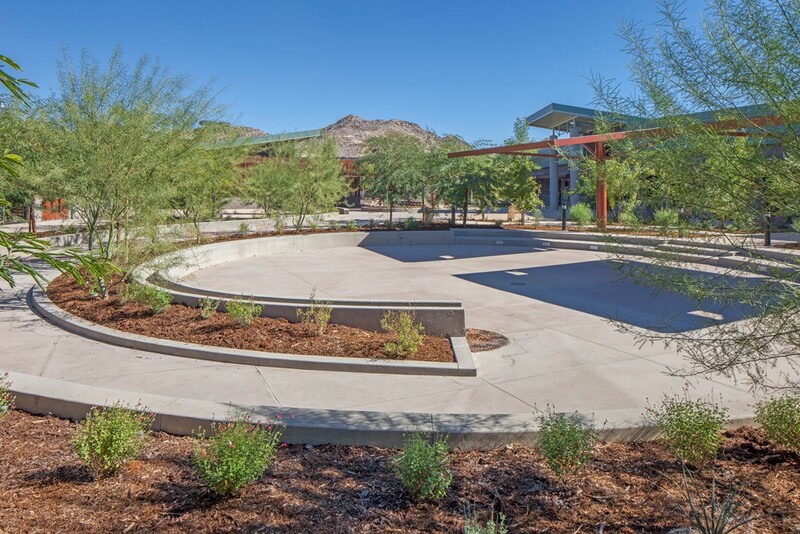 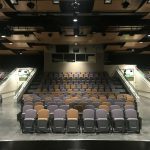 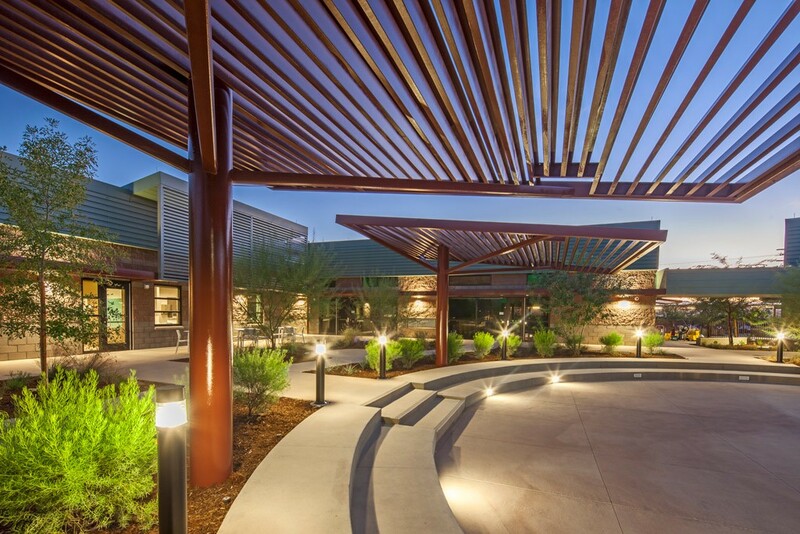 The CDC’s Child Activity Rooms are organized around a sheltering Courtyard plan, oriented to the cardinal North-South-East-West directions, creating a shared outdoor common space protected from the harsh desert environment with intentionally placed views out to the surrounding desert, mountains, and principal landmarks. 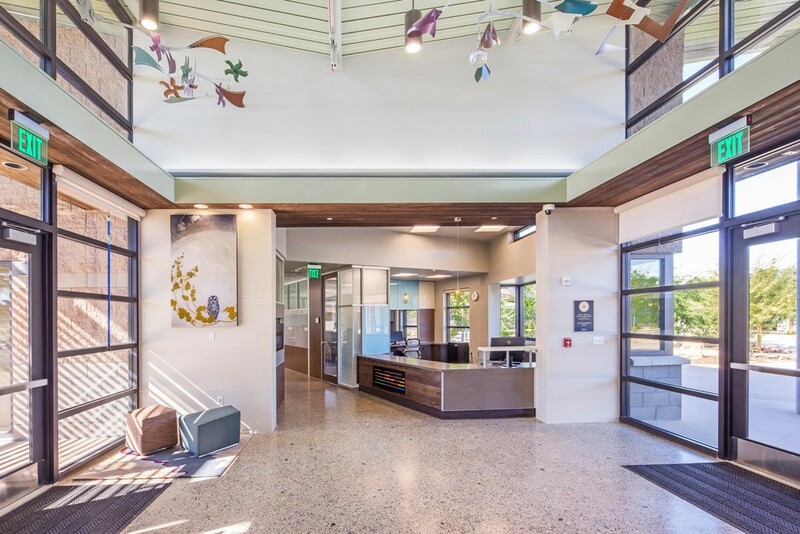 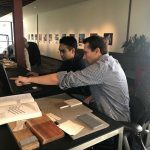 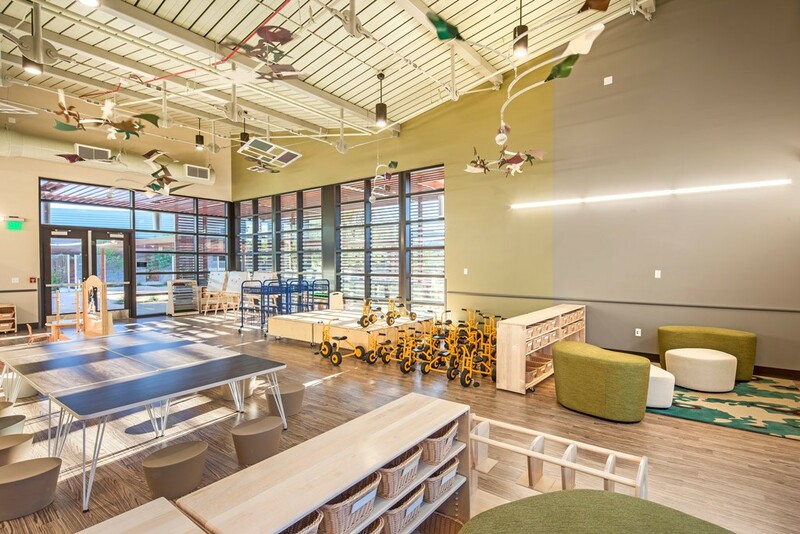 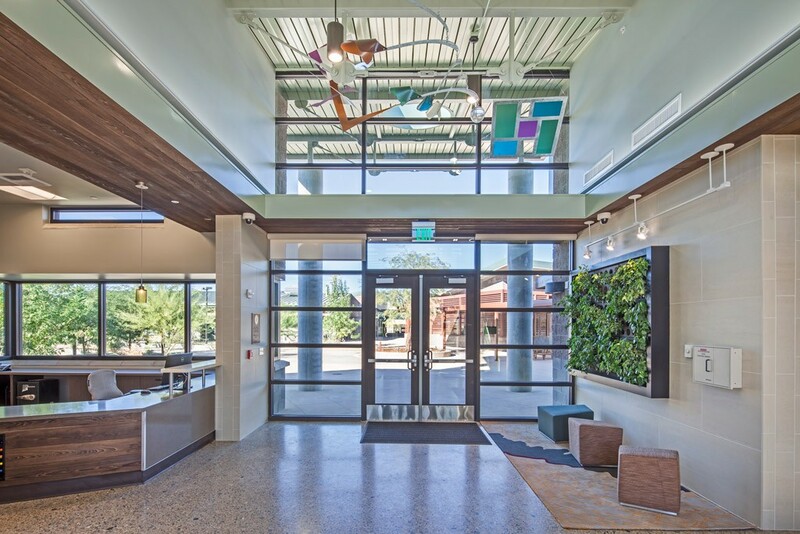 Within the Courtyard, a shared ‘Atelier’ children’s studio provides an open, light & airy place for children’s creative play and artwork with work-tables, benches, supplies, and exhibit spaces. 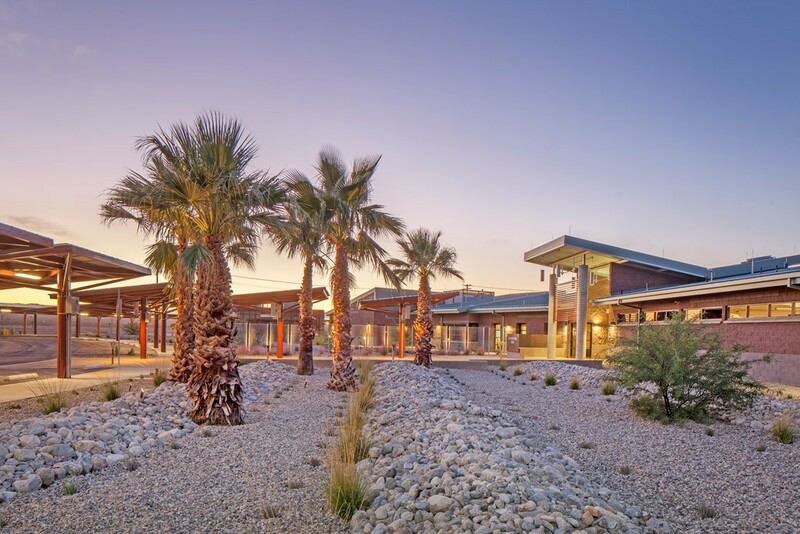 The architectural form of the Twentynine Palms Child Development Center responds to the Mojave Desert’s extreme climatic and environmental conditions, providing a variety of shaded and sheltered interior and outdoor spaces designed and constructed with the Owner’s stated intention to redefine what Marine Corps families can expect from a Marine Corps Child Care facility. 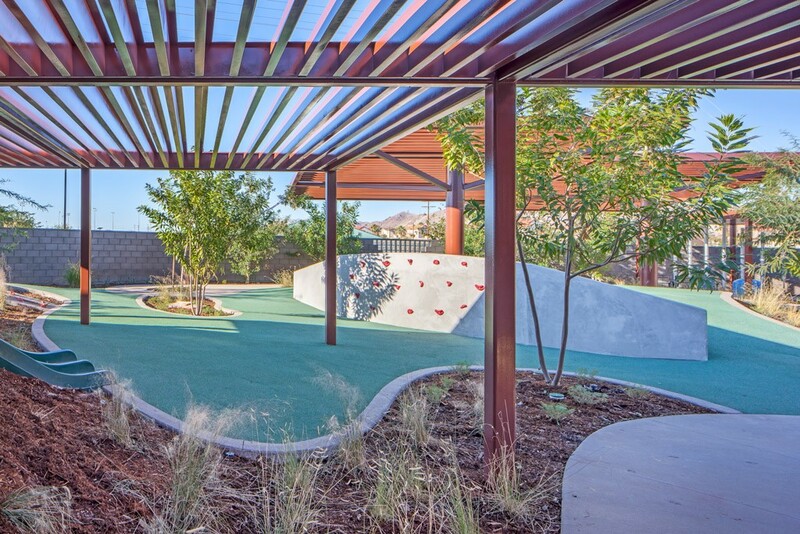 Design elements were incorporated to offer opportunities for engagement and stimulation of the children’s natural curiosity and capacity for learning both about Nature (things growing and responding to the energy of the sun and the rhythmic cycles of the earth) and Architecture (exposed structure, various materials, textures and colors, the varying qualities of sound produced by changing ceiling heights within connected interior spaces and the visual contrasting qualities of sunlight vs. shadow vs. filtered light vs. shade). 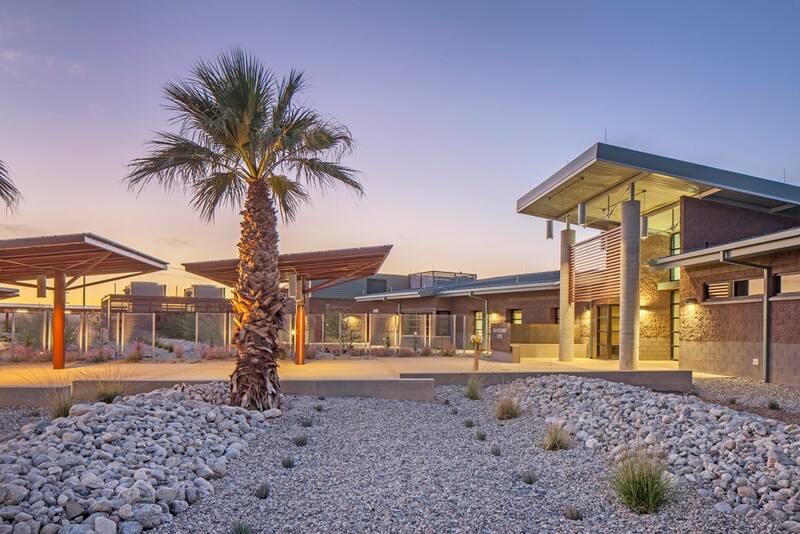 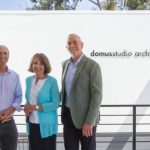 Among other accomplishments, this project was the Navy’s first Net–Zero facility; generating as much renewable electrical energy from its artfully-designed photovoltaic ‘tree structures’ as it consumes over the course of a year from both natural gas and electricity.